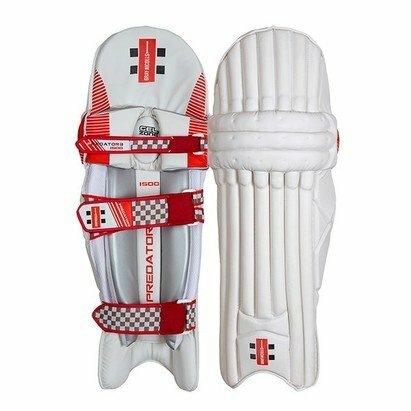 The 2018 Gray Nicolls Predator 3 1500 Batting Pads offers a traditional design with the ultimate impact protection level! 8 pre moulded curved lightweight 30mm high density foam bolsters reinforced with cane rods and full length internal X-LITE HDF for our best protection. Traditional knee design provides classical fit while maximising protection combined with 3 section internal knee system with gel zone and 3 levels of protection throughout the internal shin bolster.